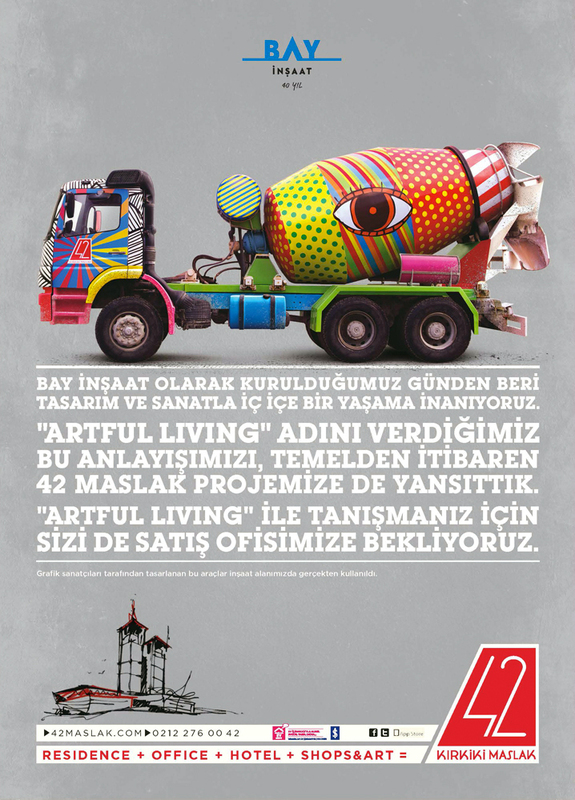 42 Maslak, a niche construction project designed by Chapman Taylor and constructed by Bay Construction in Istanbul, Turkey, is a combination of artful flats, artful offices, an artful shopping mall and art galleries. 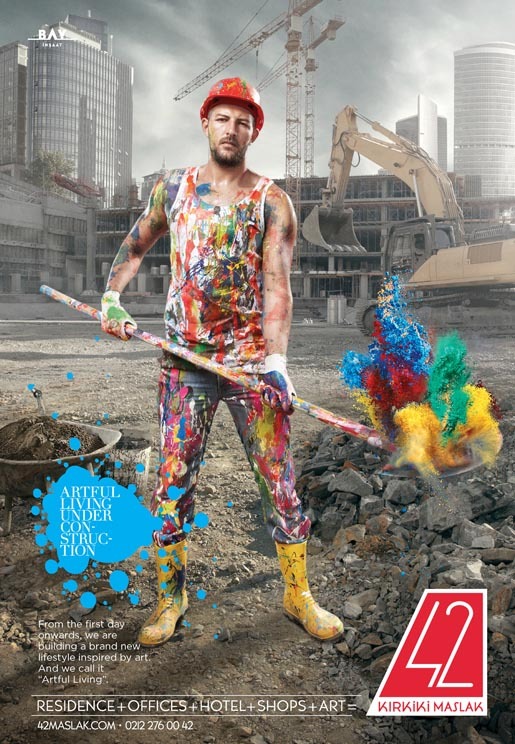 Promotion of the project worked with the philosophy of the construction, ‘Artful Living’ right from construction phase. 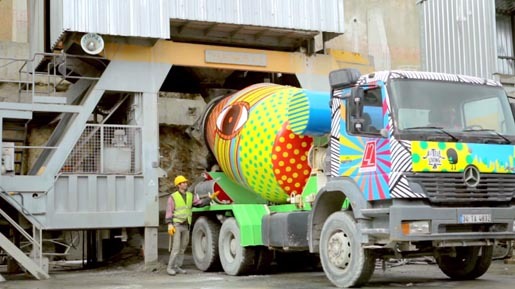 The best way to fulfill the promise of the construction company, designing ‘Artful Living’, was to let the target audience see the artful construction site. 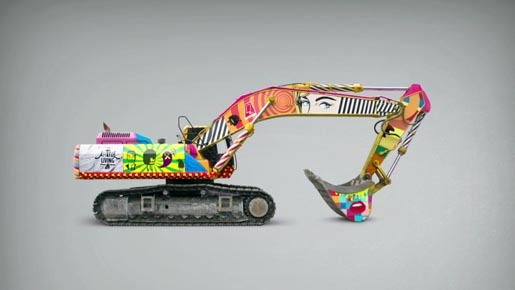 The traditional yellow construction vehicles were transformed into colourful design objects by a group of selected Turkish graphic artists. 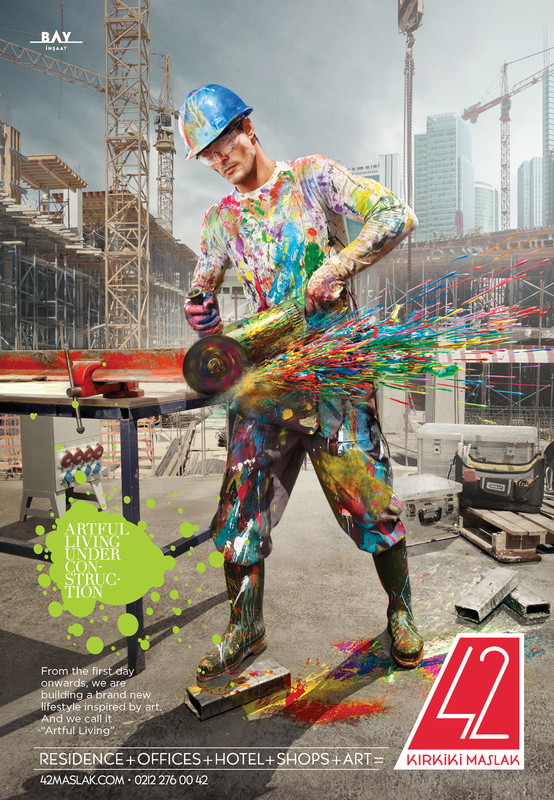 Visitors to the 42 Maslak sales office, on a skyscraper looking down on the construction site. The artful vehicles were covered on design blogs, national magazines and newspapers. 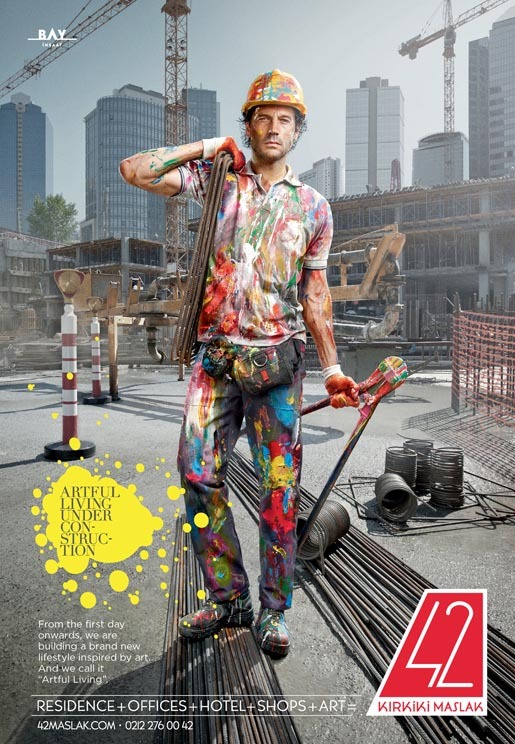 The Artful Living campaign includes posters and print advertising featuring artful construction workers. 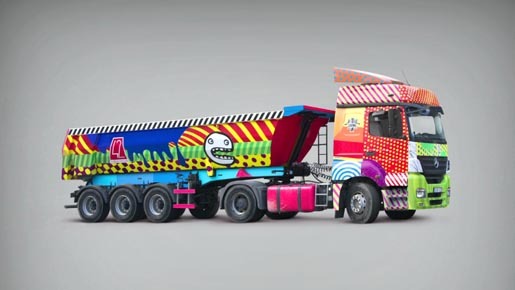 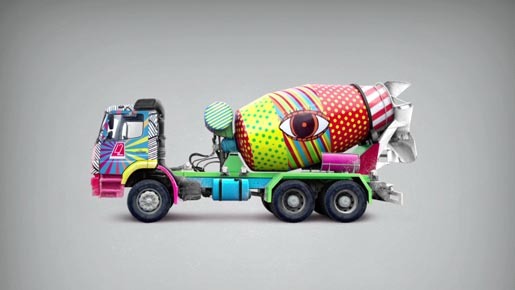 The Artful Construction Vehicles campaign won Grand Prix for Outdoor at the Golden Drum Awards earlier this month. 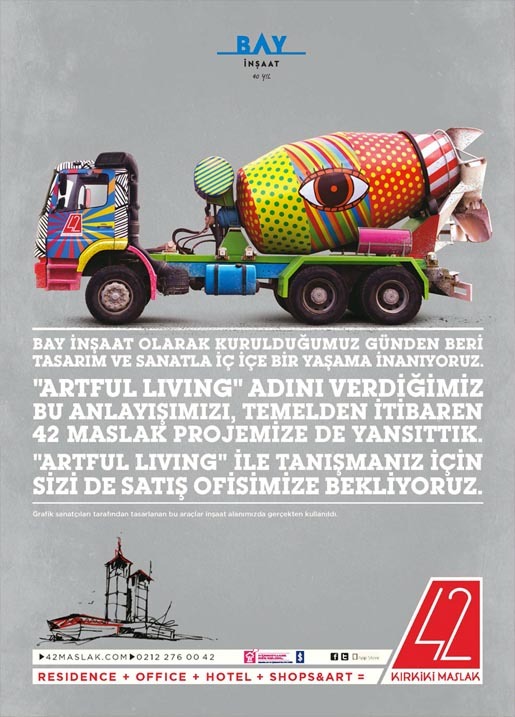 The Artful Construction campaign was developed at TBWA\ISTANBUL, by creative director Evren Dograr, art director Mustafa Gulsen, copywriter Sanli Kayabolen, photographer Firat Kilic, account directors/managers Burcu Ozdemir Kayimtu and Guler Balta.